Child sleep problems can be so stressful as a parent. It may seem like there is nothing you can do when your child won’t sleep. Here are a few problems and how to fix them. Becoming a parent is one of the most wonderful moments of your life. Following your child’s birth will be some of the most amazing and joyful memories and times that you’ll ever have. Watching them grow and learn and develop is incredible in a way that you can only fully understand if you’ve ever been a parent. But with all of these joyous moments, also comes hard and stressful moments. Lack of sleep for your child is hard to deal with, because it results in a lack of sleep for you as well. Both you and your child will be happier and healthier with a full night’s rest. It can be frustrating when your child won’t sleep and it seems like there is nothing that you can do to help them get the rest that they so badly need. Luckily, almost every sleep issue can be boiled down to a single cause, and once you know that cause, you can treat that issue in an effective way. 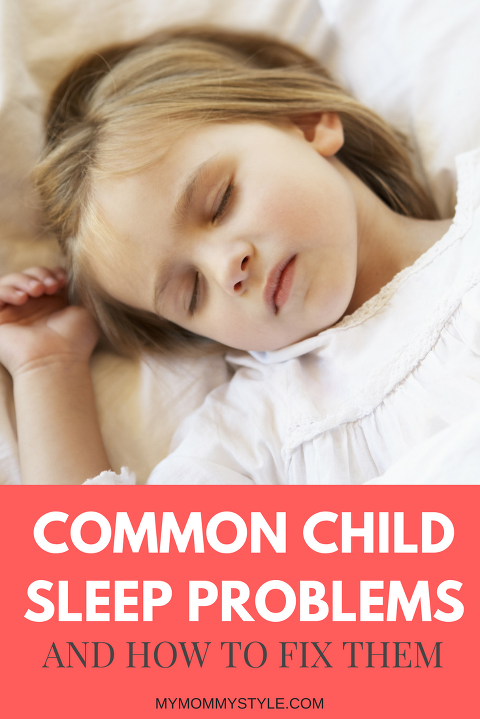 Here are a few common child sleep problems, and a few ways to fix them. Even if grinding their teeth doesn’t keep them up at night, it can cause issues in other areas of life. It can cause pain, headaches, and other dental issues. Most of the time, children grow out of this issue and don’t require treatment. If it’s something that is bothering you or your child, go to their dentist and have them examine their teeth and jaw. If it’s a severe problem that is causing a lack of sleep, a solution such as a mouthguard for while they sleep, may be appropriate. Night terrors are different than nightmares. A nightmare occurs during the REM cycle, and is just a bad dream. Night terrors usually occur in children between the ages of 3 and 12. A night terror will generally occur about 90 minutes after your child falls asleep, as they transition from the third cycle of sleep to the fourth. A night terror is not something that is usually remembered once the child wakes up, and you will have a difficulty waking them up during the night terror, despite them crying and screaming and seeming to be afraid. Often, they may not have a cause if it happens only once or twice. But if it is chronic, it can be caused by a stressful life event, sleep deprivation, or medications. Do you have a child that seems to get not enough sleep? No matter what time they go to bed, they wake up cranky and upset, with the obvious culprit being that they didn’t get enough sleep? This may be due to screen time before your child goes to sleep. There are a few reasons for this. By paying attention to screens, your child is spending time sitting still rather than doing activities that would get them exercising and moving that will tire them out. Another reason that screen time can negatively impact sleep is that watching something that is stimulating or exciting will keep the brain awake longer than necessary, which will result in poor sleep that night. If this may be a problem for your child, a solution may be to cut out screen time for a few hours before bedtime. It also probably won’t be solved immediately, it will need to be followed through for a few nights or weeks before you see the positive effects of reduced screen time. Sleepwalking in itself is not a harmful sleep disorder. What makes it unsafe or alarming is if your child ends up in dangerous situations due to sleepwalking. 30% of children sleepwalk. It’s important to not wake up your sleepwalking child, as it can cause confusion and fear for your child to suddenly wake up somewhere else. Most children grow out of sleepwalking, and is most common among children aged 3-7. If your child sleep walks, make sure that their environment is safe and comfortable and that they don’t have ways to leave the house or turn on dangerous appliances. If this means having a video monitor installed in their room to alert you when they get up, or locking their door when they go to sleep, then do what is necessary to keep your child safe. You can always contact a sleep specialist if you are unsure how to help your child.